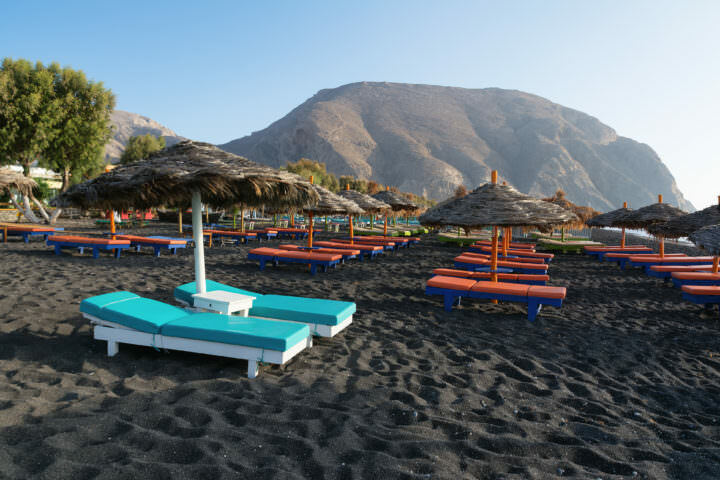 Kamari beach is also known as “black beach” due to its black sand. It also boasts a large rock known as Mount Vouno, which is a sight to see in the day light, but is especially amazing when it shines in the dark. The water is blue and deep and there is a lifeguard on duty. If you’re interested in seeing the caldera, this is the beach you want to visit as you don’t have to go far to take a tour. Not far from the Bronze Age Minaon settlement ruins of Akrotiri is Red beach. This is a small beach that is surrounded by tall bright red cliffs. The red and black pebble-like sand, which is volcanic rock, make this beach a must-see. If you’re into water sports, snorkeling would be perfect at this beach thanks to the interesting rocks. Monolithos beach is close to Kamari beach. It is an organized beach made of black, but smooth, sand and shallow waters. 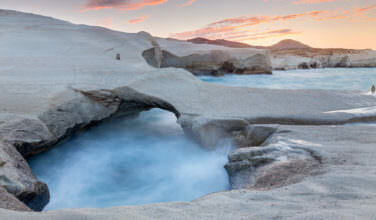 Monolithos beach is known for being a family friendly beach. Not only is there plenty of space on the beach itself, but there’s a children’s play area and basketball court nearby as well as numerous hotels, restaurants, and shops. 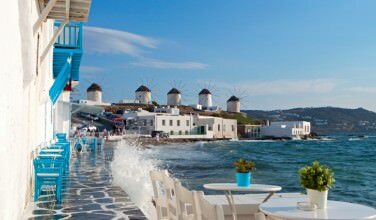 Perissa beach is another that is made of black volcanic sand. It’s important to bring footware if you are visiting during the day as the sand becomes hot. A feature of this beach is Mount Vousa. The enormous rock is something you may want to get a closer look, but even from a distance it will take your breath away. Amenities are available nearby. Perissa beach considered one of the best swimming beaches on Santorini. Perivolos beach is basically a continuation of Perissa beach, so you can expect the same type of sand and beautiful azure blue water. Perivolos beach offers a number of water sports including jet skiing, windsurfing, and scuba diving. You can even take a jet ski tour of the volcano from Perivolos. You’ll see the beach and island from a different perspective. 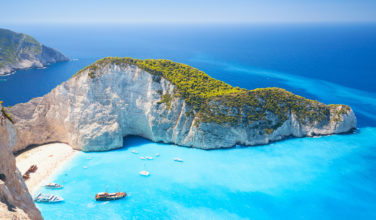 Santorini’s volcanic history makes it one of the most unique places to visit in the world and the beaches are no exception. If you’re on the island, you shouldn’t miss a chance to see and touch volcanic sand beaches.